"Living In China I See The Most Ridiculous Things"
Many humans are now focused on how they are going to clean up the planet before it’s too late, from the #trashtag challenge to environmental initiatives. However, the bald eagles in Seattle are doing some reverse clean up and dumping trash in people’s yards across King County. Many humans are now focused on how they are going to clean up the planet before it’s too late, from the #trashtag challenge to environmental initiatives. To spread his message about endless waste production, Portuguese street artist Bordalo II (Artur Bordalo) creates stunning animal sculptures. However, unlike most artists, Bordalo doesn't buy his material - he scavenges it. He seeks to portray nature (animals) with the materials that threaten it. To spread his message about endless waste production, Portuguese street artist Bordalo II (Artur Bordalo) creates stunning animal sculptures. This is a Artur Bordalo’s (aka Bordalo II) series of artworks that aim to draw attention to a current problem that is likely to be forgotten, become trivial or a necessary evil. The problem involves waste production, materials that are not reused, pollution and its effect on the planet. This is a Artur Bordalo’s (aka Bordalo II) series of artworks that aim to draw attention to a current problem that is likely to be forgotten, become trivial or a necessary evil. 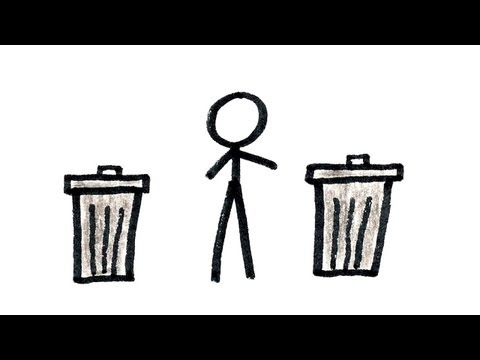 When something is used or broken (or we just don't want to deal with it) it usually ends up in the trash can. Models take part in the “Trashion” fashion show on the roof of a building in the Brooklyn Navy Yard in the Brooklyn borough of New York May 31, 2014. The show featured designers who used recycled items such as coffee filters, tissue paper, grain sacks and window screens. Models take part in the “Trashion” fashion show on the roof of a building in the Brooklyn Navy Yard in the Brooklyn borough of New York May 31, 2014. We need to be sure you are not a bot. Type the characters you see in the picture below.